Updation of Month 3rd week happening. & having passionate for wrok. Welcome to Mr . Sachin Naik in accounts as a senior accountant post. 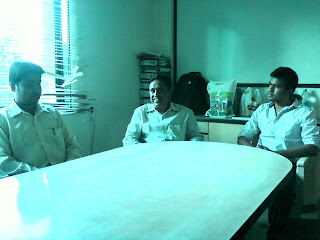 He has rejoined us from 18/4/2011 . Wishing both of them all the best & good time with organistaion. Everone has a purpose in life .. a unique gift or special talent to give to others. And when We blend this unique talent with service to others, we experience the ecstasy talent of own spirit , which is the ultimate goal of all goal. VELOCITY IS KNOWN FOR THE NEW TRENDS IN THE ORGANISATION. OUR COLLEGUE MR KAUSHIK MITRA HAS RESIGNED DUE TO HIS MOTHER MEDICAL EMERGENCIES. AS A ORGANISATION HAS GIVEN SENDOFF TO MR KAUSHIK MITRA . IN THE SENDOFF ALL DEPOT INCHARGES AND ACCOUNTS DEPARTMENT PRESENT. 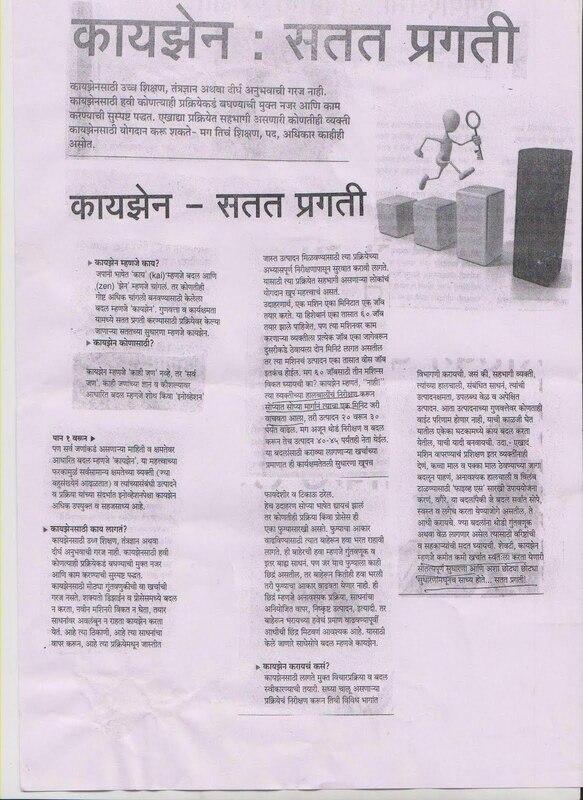 IN THE BEGINNING AVINASH WANI HAS TOLD ABOUT HIM AND HIS NATURE THEN SANJEEV PALOD AND NIKHIL PALOD HAS HIGHLITED HIS TWO YEARS JOURNEY WITH ORGANISATION. MR KAUSHIK MITRA EXPRESSED HIS VIEW ABOUT THE ORGANISATION AND TOLD HE LEARNED LOT OF BASIC LOGISTICS SYSTEMS & HE GIVEN THANKS TO SANJEEV PALOD FOR GIVING BIG OPPORTUNITY OF HANDLING FMCG DIFFERENCE DEPOT. AlSO FOR SUPPORT IN DIFFERENT MATTER THANKS GIVEN BY HIM TO NIKHIL PALOD AND AVINASH WANI ALL THE COLLEGUES . SANJEEV PALOD HAS GIVEN HIM LOVE OF TOKEN . 1) In Amway depot they have done pick & packed 10 times more invoices than there everyday average bills in three days. Good job done by the Amway team. 2) In internal KRA for March'11, Pidilite got 70 out of 70 marks, Lupin 80 out of 70 marks. 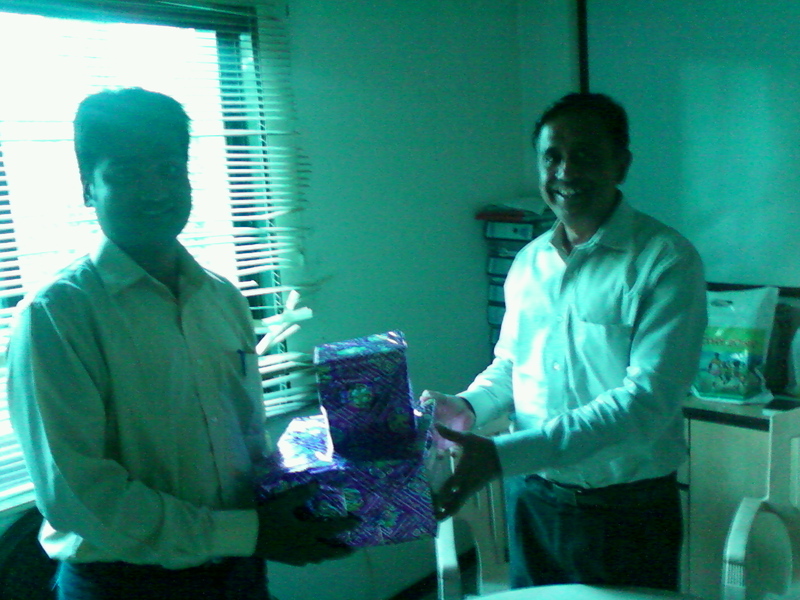 3) On 15th April Mr. Anil Mathur - GM -Commercial & Logistics has visited to Lupin depot. He has verified all the system related to QC, warehouse maintenance. He has given technically & pharma related many new suggestions for perfection in managing the warehouse further more effectively. Mr. Avinash Wani & Chetan has presented the statistics of sales, collection, cn, along with unique system adopted by them for doing their own evolution. the system like internal KRA of 100 marks & all depot department wise audit of 600 marks.Mr. Mathur very carefully gone through all this system & ask for KRA format. (1.) We like to complement Pidilite, Lupin, Wockhardt, Amway, Adani depot for completing the month end dispatches within 31st Mar 2011 & also for finishing there stock checking on 1st April 2011. 1) Order processing & dispatching with in 8 working hours. 2) Proactively stocks availability & N.A. closing monitoring. 3) Time to Time study of division , Party sales growth. 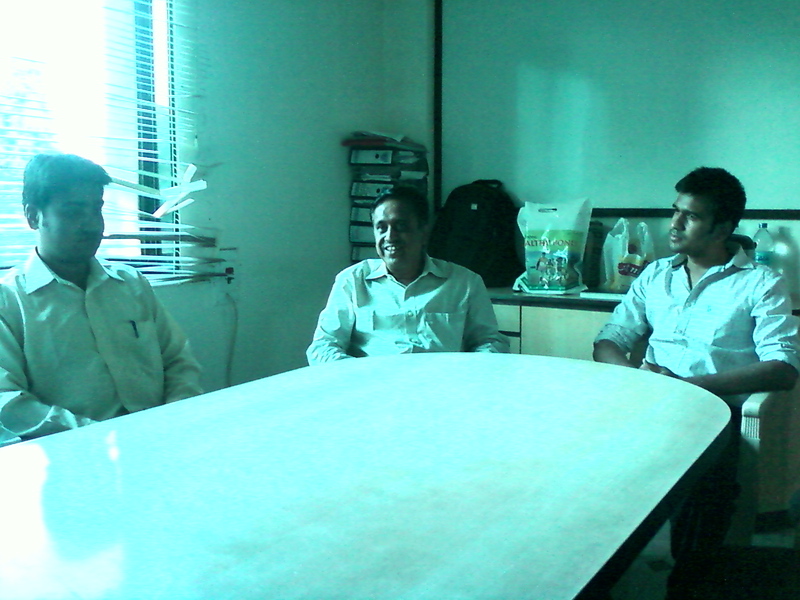 4) Regular visit to RSM office & discussion on their planning. 5) No order will block for the overdue payment.... collecting the blank cheque. BDE CN from 2.42 % to 2.25%. 1) S.G.R. CN controlling through RSM , Requirement order monitoring through S & S for non moving product. 2) B.D.E. CN monitoring & data providing of high value expiry product to RSM & personally attending during visit to distributors & Telephonic ally. 3) Price difference CN as per H.O.Guidelines verification. Per Month DSO 18 days & Collection upto 160% . 3) Regular defaulter party against advance D.D. Three parties. 4) Executing the company policy of S & S effectively. (3.) We have organized to view the live final match of World Cup Cricket between India & Sri lanka within our organization with the employees. We have enjoyed throughout the game like the crowd enjoyed on the ground including snacks, cold drinks etc. While we believe that some people are born leaders; there are others who can be trained and coached to guide people. At the basic level, a ‘leader’ should be generous, unselfish, fair, egalitarian, responsible and most of all honest. Leaders take the blame for what goes wrong, pass on credit when things go well. For a good leader, the attribute that is of utmost importance is being trustworthy to lead others. If you are excited about what you are doing then being passionate is natural. The best way to be passionate about one’s work is to enjoy it. When someone joins an organization, they are absolutely enthusiastic about it; but they run out of stream after few years. One needs to find ways to look forward to a Monday morning. We spend at least 8-9 hours a day at work, which is almost 25-30 percent of the week & hence, it is essential that we are passionate about what we do.